The Delfinware Chrome Wall Basket (L 21cm x W 10.7cm x D 8cm) is a high quality basket ideal for shower and bathroom utensils, which can be used as a shower tidy. 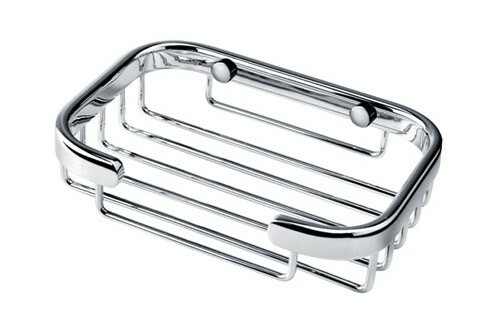 The chrome basket can be used for soap and will never rust. The chrome basket comes with the appropriate screw fittings.